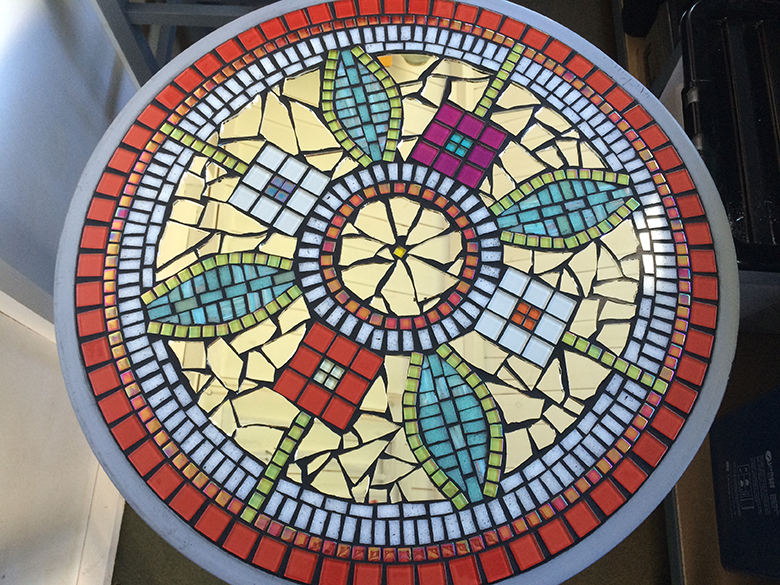 I bought this table from our local antiques centre, Battlesbridge, as it was a perfect candidate for my next mosaic project. 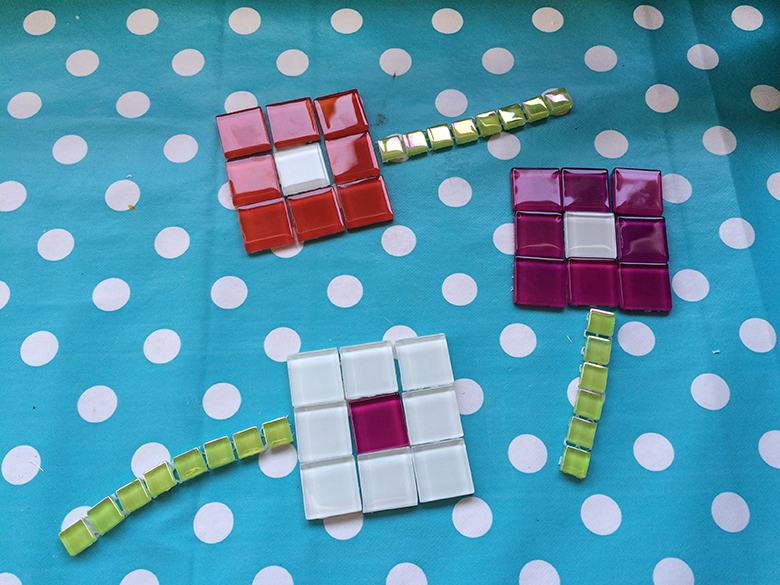 I bought a few sheets of mosaic tiles from B&Q and I started to play with the shapes and colours to get some ideas of what pattern I could make. I quite liked these Mackintosh-style flowers. The table doesn’t have a central hole, so the first step was to measure out exactly where this was. 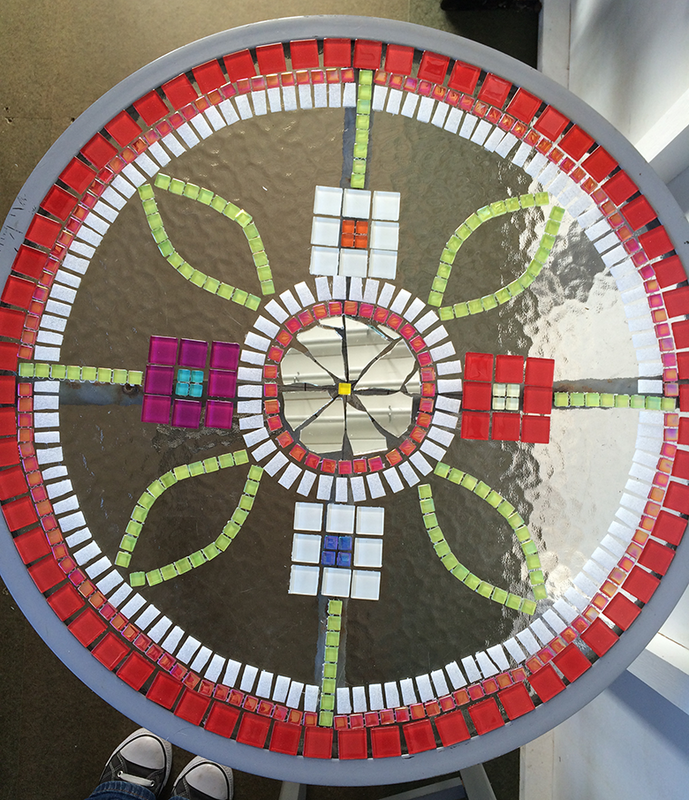 I then began placing a red border around the outside of the table and added the four flowers, then I created the circle in the centre and added the leaves. 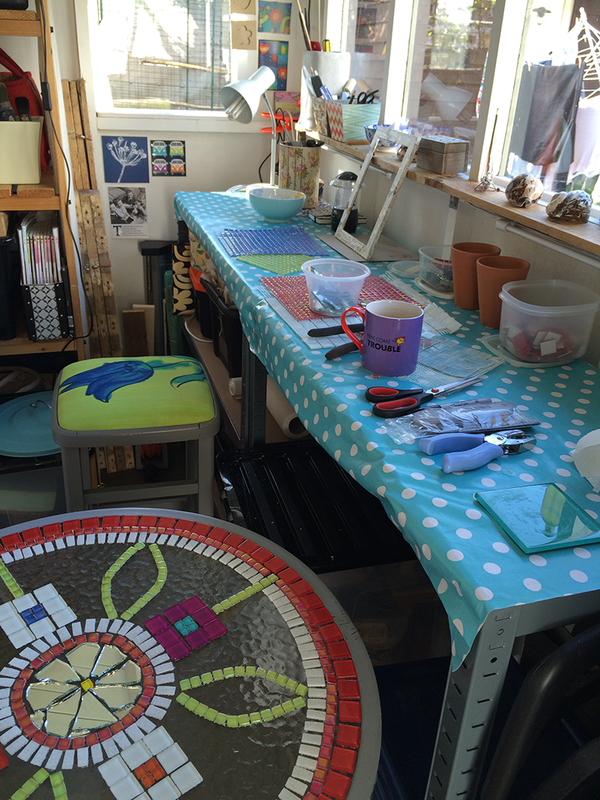 I was working in my new crafty shed, which made the job so much easier and it was nice to shut the door on the mess. 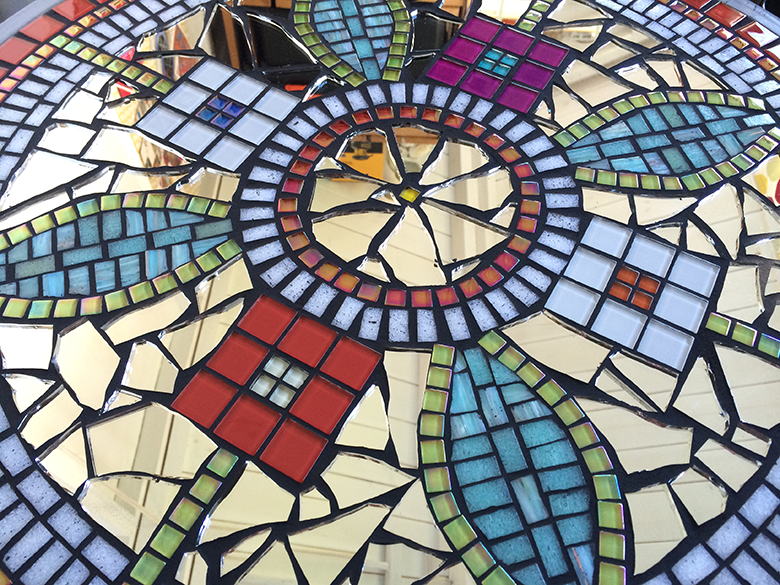 Once I had mapped out the outlines of the pattern I began to fill in the gaps with smaller pieces using a mixture of glass tiles and broken mirror. 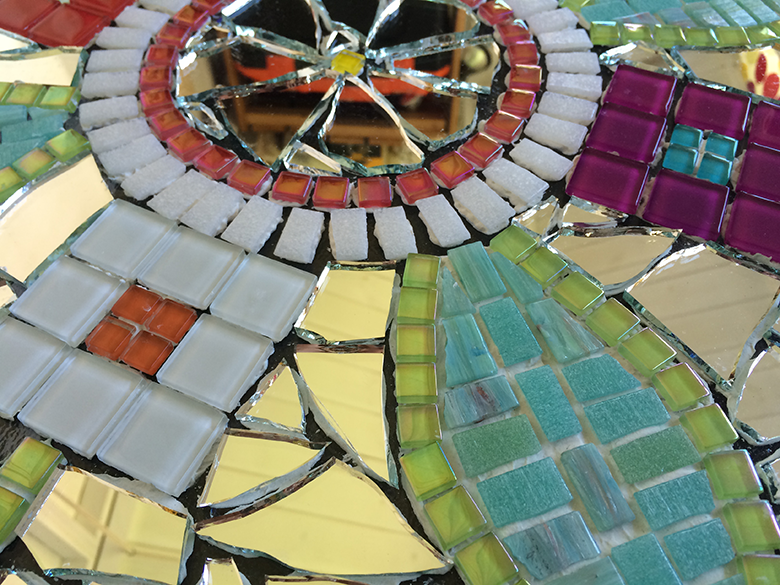 The pieces were then glued down and left overnight to set. The final step was to grout the table. I always prefer the look of slate grey grout and I used one that is frost and water resistant. 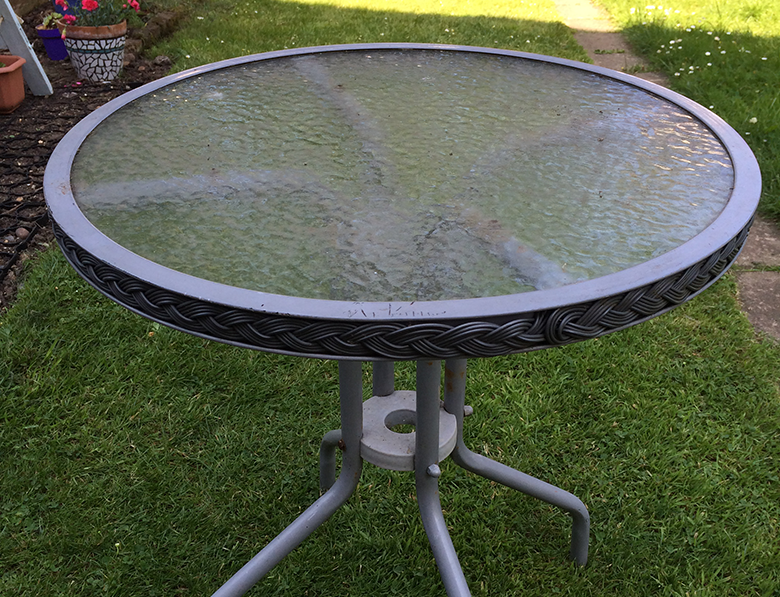 This is the finished table, which is now sitting pretty in my garden.